Due to technical difficulty, this is a second take at the podcast today. Matt and Erin start by sharing highlights from the recent International Congress of Entomology (ICE) meeting in Orlando last week. 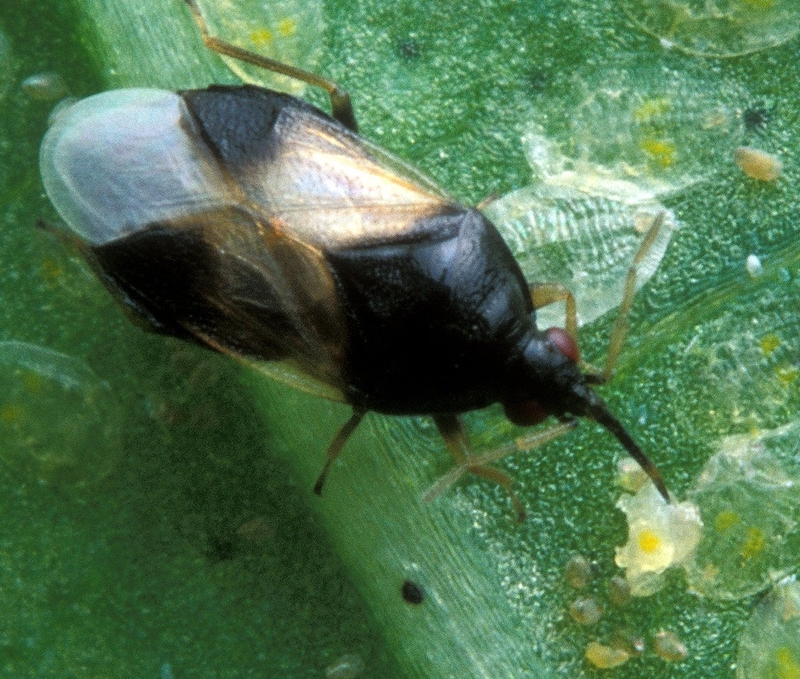 Erin talks about pest resistance issues for corn rootworm and western bean cutworm. Matt summarizes some work on rapid resistance development in agro-ecology systems. Fall nuisance invaders were also briefly discussed, including minute pirate bugs, boxelder bugs and lady beetles. Matt got excited by a recent aphid find on ISU campus this week - aphids and parasitized aphids were on collected from buckthorn. They don't understand the implications for these finds yet, but it is certainly not a common find. Lastly, Matt and Erin are speaking at the upcoming ICM Conference in Ames. Registration details will be posted soon. Minute pirate bug adult feeding on white fly nymphs. Photo at https://en.wikipedia.org/wiki/Anthocoridae.